About RDA - Regional Development Alliance, Inc.
We seek out growth companies and provide favorable financing to help ensure your success. Regional Development Alliance, Inc. is a private, not-for-profit business financing company. As such, we view our borrowers more as partners rather than a quick loan opportunity to either accept or reject. Our objective is to directly invest in your qualified business in order to obtain a reasonable return on our investment, increase job growth, and retain quality jobs. RDA manages a sizable regional business investment fund and a micro business loan program. We also manage a smaller loan fund on behalf of Bonneville County and the City of Idaho Falls. 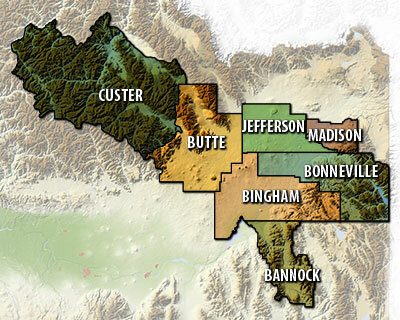 We generally serve seven regional counties including Bannock, Bingham, Bonneville, Butte, Custer, Jefferson and Madison.